EVERY near miss and collision between irresponsible motorists and trains takes a terrible mental toll on our train drivers. To mark National Rail Safety Week and to raise awareness of the plight of CQ's train operators, three local train drivers have come forward, on the condition of anonymity, to blow the whistle on the appalling and life risking motorist behaviour they had been seeing around this region for years now. 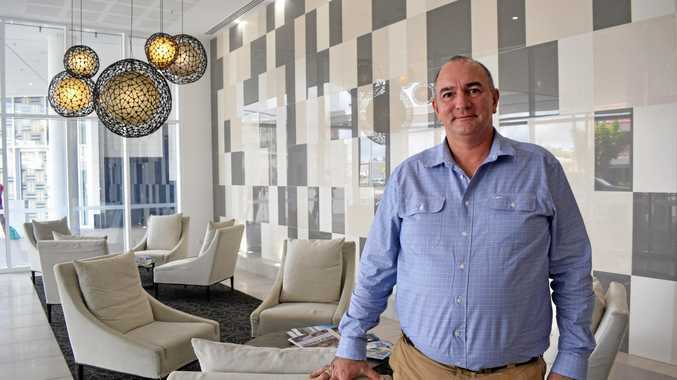 The train drivers are speaking out just as new statistics were released yesterday by rail freight operator Aurizon had recorded almost 50 near misses on the Central Queensland Coal Network in the past year - up 20 per cent on 2017's figure. There were an assortment of driving indiscretions these men said they were seeing including motorists speeding beat trains through level crossings, cutting in front of trains, not stop coming to a complete halt at stop signs, or simply not looking around before driving through level crossings. The first train driver said he encountered bad drivers on his journeys throughout CQ, particularly in the Rockhampton region. He recalled one incident seven years ago when he struck a trailer being towed by vehicle at the Boundary Rd level crossing in Parkhurst after the driver allegedly ignored the flashing lights. "Heading north to Mackay, we came up to Boundary Rd, there's no boom gates there," the driver recounted. "It was early morning and a car towing a trailer, the driver told the police he saw the lights, heard the horn, thought he'd beat us and we completely demolished the trailer as it went through. "It was 640m before we came to a stop. The guy thought it was a joke." 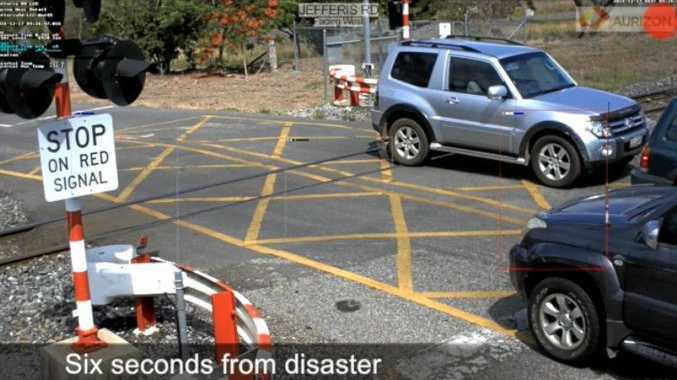 Aurizon Level Crossings: Rail company Aurizon shared this video on the risks of level crossings. The driver then explained how driving down down Denison St in Rockhampton's CBD, well known for its lack of boom gates, was fraught with peril, saying "just about every trip" there was a near miss. "You're only doing 25km/hr or less, every car that pulls up to the stop sign, keeps on rolling, it doesn't actually stop," he said. "Cops would have a field day giving out tickets for people not stopping. "As soon as they see the train they floor it to get in front of it because they know they're going to have sit there for a few minutes waiting for us to get past." He said motorists would often drive parallel train and do a U-turn in front to get around it. "If they're not going to have boom gates there need to at least have cameras there so they can catch these guys doing it," he said. The second train driver also expressed his frustration with the train line along Denison street with countless near misses at the Cambridge and Archer St crossings. "Taxis are the worst, they don't stop, they just sail on through, they know what doing but we're not mind readers," the second driver said. "I've lost them under the train console, under the counter of the loco. It's all fun and games until you clobber one. "If you stop and look, you won't have a problem." The train driver expressed disbelief why there wasn't any protective infrastructure including boom gates saying "it beats me why [not]". "It's got to be money, I don't think it's political, but it could be. "They say nah, no one's been hit there, we don't have to do anything about it, what we've done is enough. "But they aren't the ones that carry this s--- home with them every night." The third train driver said people's driving habits hadn't changed significantly over the years and that they were still trying to race the trains to avoid being held up or crossing without even checking for trains. He said it wasn't a good feeling seeing a potential crash from a long distance away and being powerless to stop in time and after a while you started second guessing yourself and getting unnecessarily. After narrowly missing a car carrying truck by "an inch" that saw him at the last minute, he said the train stopped one kilometre later. "Seeing the looks on their faces as the train was bearing down on them, it was like ok, we're goanna die," the third driver said. "That was a lot of years ago but it just stays with you forever, even now I can still see the look in their eye. When approached regarding the concerns lack of level crossing safety infrastructure, Queensland Government has previously asserted that safety was a priority for the government and that all Queensland Rail level crossings were designed and operate in accordance with national safety standards with appropriate warning and safety signage and pavement markings.